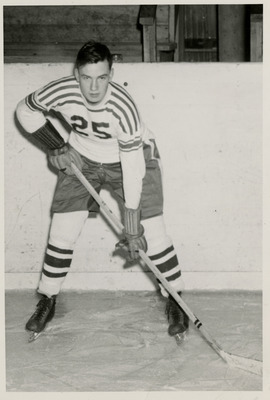 Photograph of 1947-1948 UND hockey winger, Bob Krumholz. A native of Hallock, Minnesota, Krumholz played for UND from 1947 until 1952 and scored 47 goals during his career. The photograph can be found in the 1948 Dacotah annual, page 49.